All compacts come in DUO’s, so you can chose the colour best suited to your skin tone whilst changing seasons! Its like getting 2 for 1!? All over – depending on the bronzed look you are aiming to create, you can lightly apply over entire face for a radiant SUNKISSED look. Be careful to only apply very lightly and evenly using a big kabuki or blush brush and DO NOT use the shimmer bronzer for this style of application. Apply on apples of cheeks for a healthy rosy glow! EYESHADOW - Remember you can also apply bronzer and blush to your eyelids as an eye shadow! 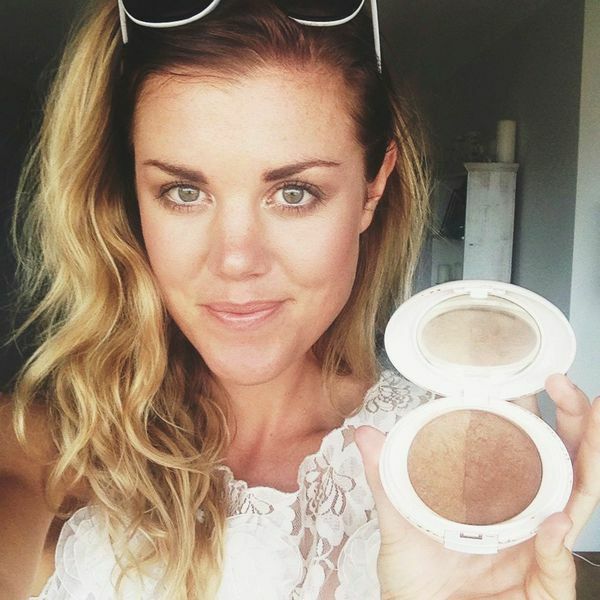 I often use bronzer along the socket line of of the eyes! LIPSTAIN - If you forget your lipstick when you head out, you can use your blush as a lip-stain! Just add a touch of lip balm over the top and Voillla!